Attracting tenants can be challenging. However, upgrading your rental will increase the value of your home and increase its marketability so that you can easily attract and keep good tenants. These home improvements don’t have to be expensive and can be done with ease if you’re a handyman. Here are the 5 best handyman repairs for your rental home to save you money. A fresh coat of paint can dramatically improve the look of your rental. If you are into long-term leases, you can do touch-ups between tenants so that the home will feel cleaner for the prospective renters during showings or open house. At the same time, painting is something that you can easily do yourself, even if you aren’t a professional. ●	Paint your space with lighter colors to brighten up the space and make it look bigger. Some colors to consider are shades of cream, off-white, light gray, and pastels. ●	In order to have consistent color, mix cans of paint in a large bucket. ●	To make the job easier and cleaner, follow this painting order: trims, ceiling, walls, cabinets, and then doors. By painting the trims first, it’s easier to tape them off, and if you get paint on the walls or ceiling, you can cover it later. 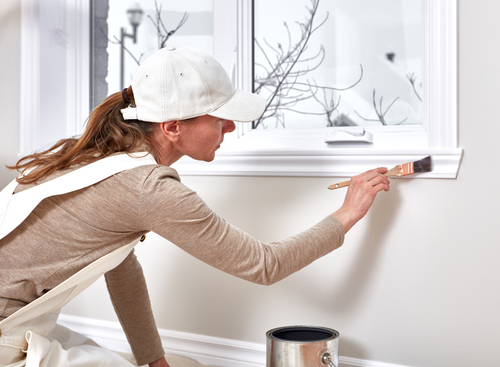 ●	Don’t forget to cover furniture or appliances before starting to paint. Lighting fixtures can change the mood of any home. Most ceiling-mount fixtures can be done without the need for rewiring, so this is also one of those DIY projects that add value to your home. Upgrade your lighting to modern fixtures, considering functionality and overall aesthetics of your property. ●	Install a dimmer on your lights. This can change the mood of any room. For example, a dimmer in the bedroom can make the space romantic, and one in the bathroom can make your bath more relaxing. ●	Add a decorative lamp or shelving lights to a bookshelf to help the tenant look for books easier. ●	Opt for a motion sensor on outdoor light fixtures, or dark stairways or hallways. Tenants who see that your flooring is well-maintained or updated will find your rental appealing. Wood flooring can sell your space, so you might want to consider this upgrade. Since that could cost you more than what you’re willing to spend, you can opt for laminate flooring instead. ●	Ditch the carpet. Even though carpet is cheap, it’s not durable, and prospective tenants may have hygiene concerns. ●	Consider the same flooring throughout your home, especially when you have an open floor plan. It will create a continuous appearance. ●	Don’t neglect the climate in your location. For example, hardwood can warp in humid weather. Another budget-friendly way to upgrade your home is to update your storage. Many tenants consider how much storage area they can use, especially when they are staying in your rental for a longer time. Whether it’s by simply repainting cabinets and shelves or adding storage areas, it’s crucial to mind your storage when attracting prospective tenants. ●	Repaint and do necessary maintenance on kitchen cabinets. The kitchen is a highly visited area, and cabinets can be worn out easier than in any other room. Check if there are handles or hinges to replace. ●	Use multi-function furniture. An ottoman that can double as a coffee table and storage can spark interest to potential renters. ●	Consider a storage chest in the living room or bedroom. ●	A garden bench with storage for tools can be especially appealing for green thumb tenants. If your rental has an outdoor area, ensure that it is clean and updated. Your current patio can use a power wash, a change of worn decks, and repainting. You can also add plants to make it more attractive. ●	Consider building a balcony, deck, or patio if your zoning law allows and you can get a building permit. ●	Landscape your backyard. Adding more plants, a bench, or a swing can also make the rental more comfortable. ●	Add some lighting outside. ●	Build a simple DIY water feature. Making few, inexpensive alterations to the interior and exterior of your rental home can make a big difference and dramatically make it more attractive to tenants. While the five upgrades can be done by yourself, make sure that you do the job right so that it lasts longer and you can reap the benefits of your investments as you price a rental property. When you take care of your rental home using the tips above, you’re going to see a change with tenant interests moving forward. Edward Flanagan is the founder of Edward’s Enterprises, a handyman service & licensed general contractor that has been improving homes and providing facilities maintenance in Southern California since 1996. 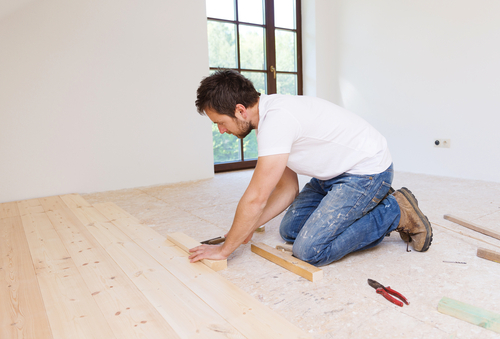 Their handyman services include drywall patches, paint touch-ups, plumbing, and electrical repairs. Edward currently divides his time between Camarillo and Venice Beach, CA, and loves the 405.